We wish him well and look forward to working with him. Issue 15 Dec 2015 Rob has written to the CCG to ask what they are doing about the length of time patients have to wait for Chiropody. 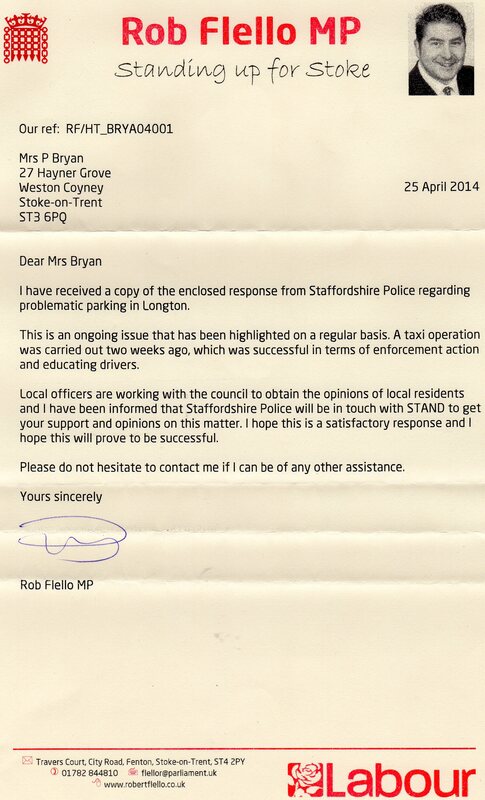 Many thanks to Adrian and Lisa who attended our Dec meeting on Rob’s behalf and brought this matter to his attention. 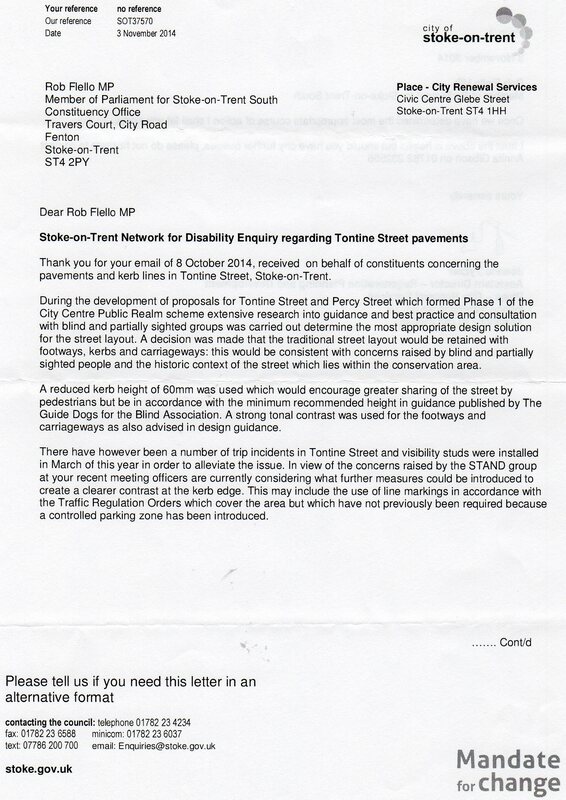 He also wrote to the Police and Crime Commissioner Matthew Ellis about the problem caused by vehicles parking on Pavements and to Capita regarding the Access to Winton House where the PIPs took place. 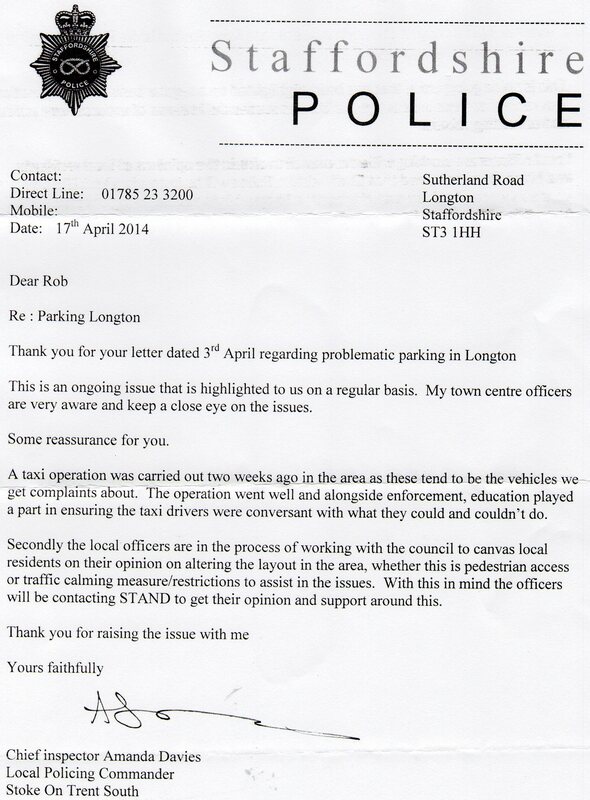 Issue 15th July 2014 Meir Health Centre Management decided to lock the doors accessing the disabled car park after 5pm and on Saturday. Rob wrote a letter to the management on the 17th July. The decision was overturned on the 21st July. Issue: Disabled people being disadvantaged by having to use the pay and display system at UHNS. 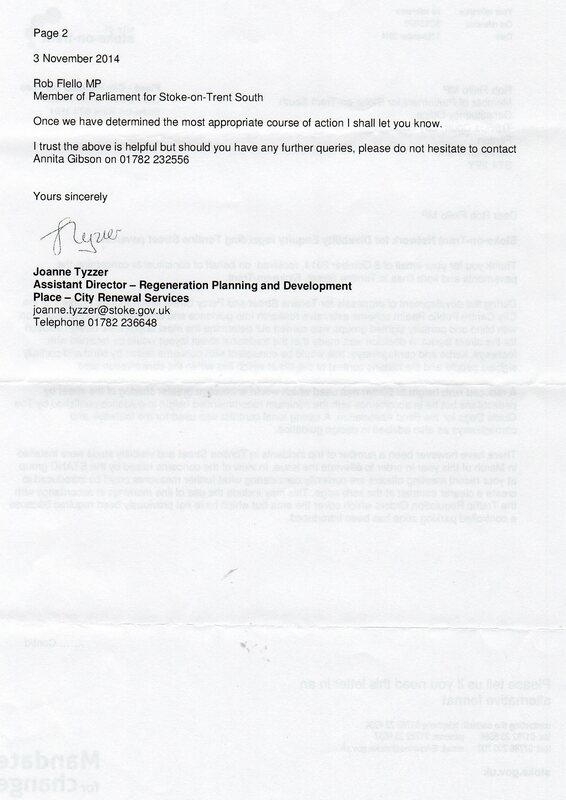 Thanks for your e-mail – we’ve contacted UHNS to ask them for their comments as this is clearly unacceptable, but you should have had a letter confirming this. 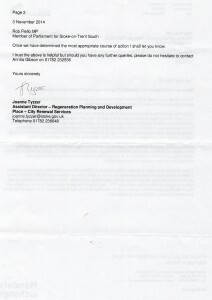 I’ll look into why you haven’t received one and also follow up our contact with UHNS to get a response. As soon as I’ve had anything back I’ll be in touch. 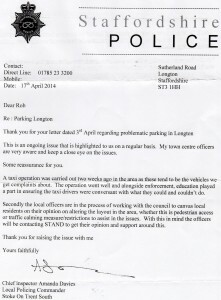 Following the STAND meeting on Tuesday 1st April I have acted on your concerns that the police are not taking appropriate and necessary action when dealing with vehicles obstructing roads and pavements. 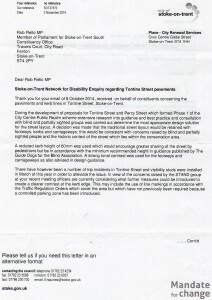 I appreciate your concern as this can have a negative impact on disabled people accessing their local communities ans services. 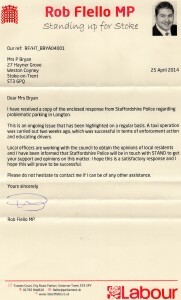 I have made representations on your behalf to Staffordshire police regarding the issue you raised and as soon as I have received a reply I will write to you again. I share your continued concerns about the University Hospital of North Staffordshire and if there is anything further I can do to assist with this matter then do not hesitate to contact me.